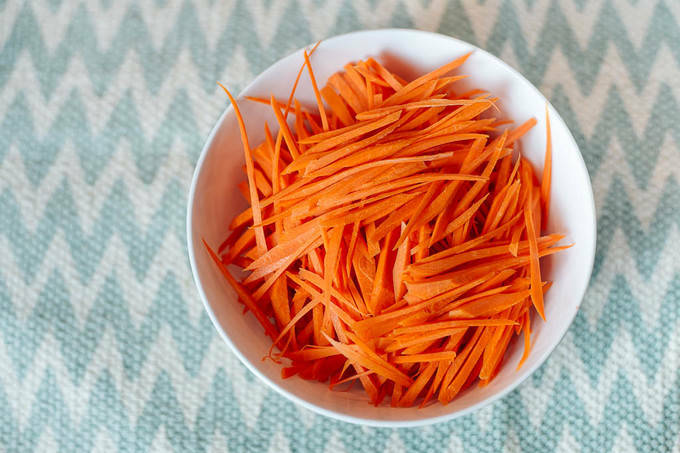 Do you know how to julienne vegetables? I decided to refer back to basics here in Arbuz and write more on simple kitchen skills that my visitors will need to refer quite often while enjoying cooking. I thought that having my own index page on such skills is essential. Today I am going to explain and show how to julienne vegetables and/or fruits.